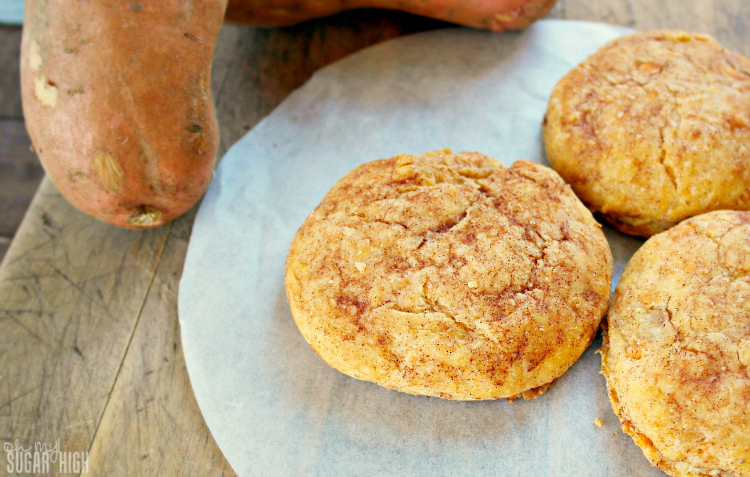 If you are looking for a new way to enjoy sweet potatoes or want to use up some of those thanksgiving leftovers, this recipe for Cinnamon Sweet Potato Biscuits from Melissa Potvin-Vosburgh are a great choice. 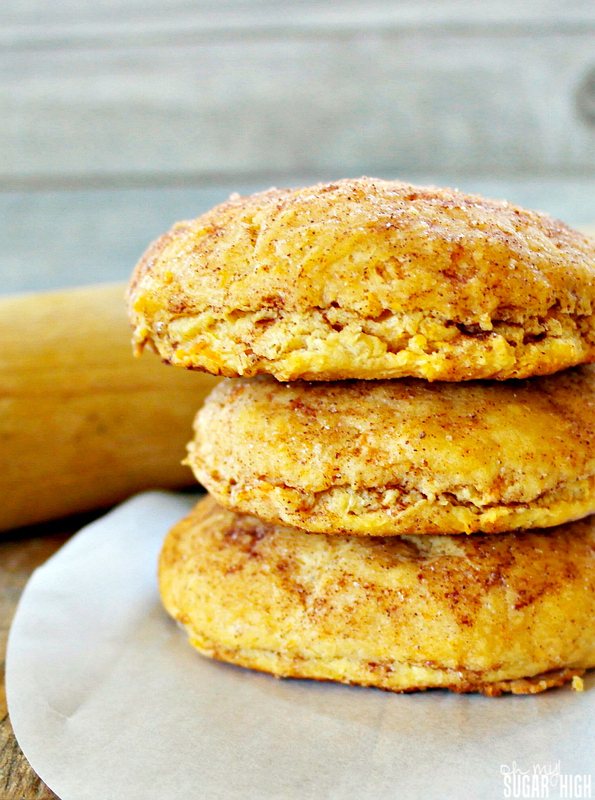 Adapted from this Paula Deen sweet potato biscuits recipe, these biscuits are unique and sure to be a hit with your family! When it comes to Thanksgiving, I most look forward to eating sweet potatoes, mashed potatoes and stuffing. The carb overload is enough to put me in a coma afterwards but they are comfort foods on a special day of the year. My favorite way to enjoy sweet potatoes are mashed with some butter, salt and pepper. With so much natural flavor, I’ve never seen the need to add anything additional. I love homemade biscuits fresh from the oven. Nothing beats the taste of hot biscuits with melted butter. So good! With this recipe you’ll need just under a cup of cooked and mashed sweet potato. This is a great way to use up any leftovers. You’ll also need an electric mixture to whip the sweet potatoes and milk until smooth. You can cut the cold butter in with a pastry blender by hand but using a food processor makes this step extra easy. If you don’t have biscuit cutters you can use a custard cup instead to cut these biscuits. It works! If you like an even sweeter biscuit, consider serving these with some honey butter. This tastes so good with the sweetness of the potato and cinnamon. Using an electric mixer, in a large bowl, whip sweet potato and milk until smooth. Pulse 5-6 times, add the remaining flour, pulse to cut the butter in until mixture is crumbly. By hand- gradually add the flour to the sweet potato, mixing in until a dough forms. 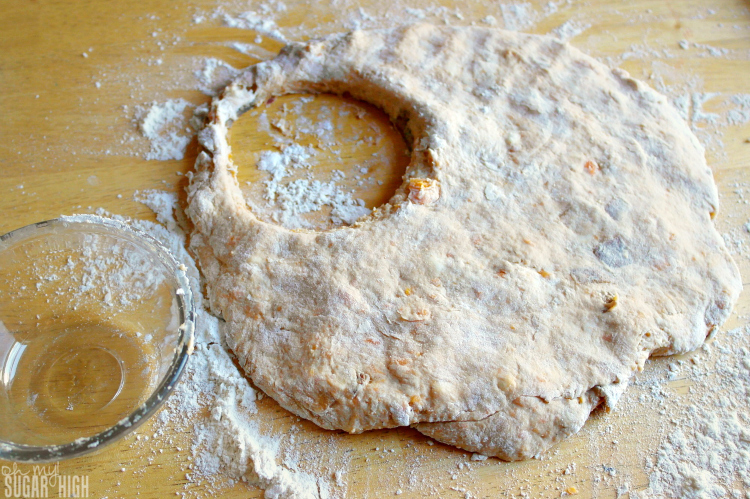 Turn the dough out on to a lightly floured surface and knead until smooth. Roll out to around 1 inch thick and cut into rounds. Place on a cookie sheet and bake for 12-15 minutes or until golden brown. Brush with melted butter, sprinkle with cinnamon and sugar. This isn’t the first time I’ve shared a recipe for enjoying leftover sweet potatoes. Try out this Sweet Potato Praline Quesadilla! I hope you had a wonderful Thanksgiving spent with family. 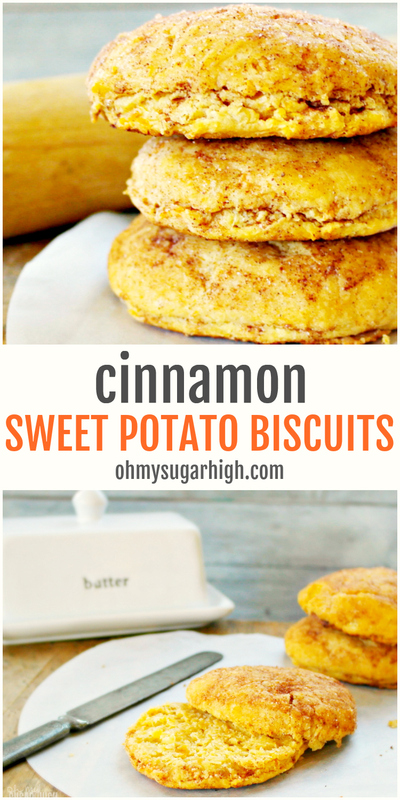 Let me know if you try making these sweet potato biscuits! I can’t wait to try these biscuits! Thanks for linking up with What’s Cookin’ Wednesday! Mmm I love sweet potatoes too, but never would have thought of this. Congrats on your #HomeMattersParty feature. 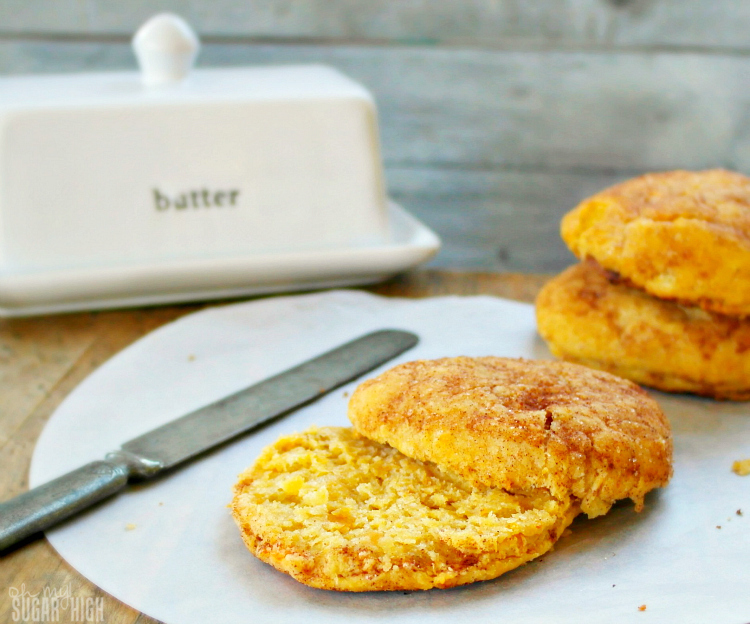 These biscuits offer a sweet way to use leftover mashed sweet potatoes! Not only that, but they’re great to make any time of the year. 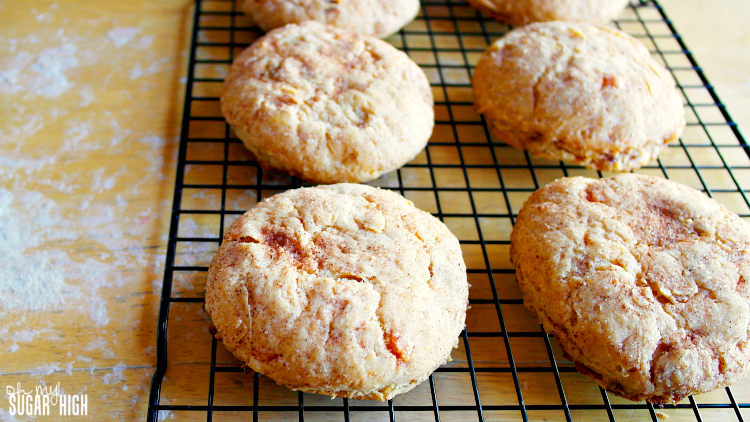 These biscuits taste great by themselves as a snack or as a part of any hearty meal.